Wells proceeds to revisit in sharp detail precisely how and why, on February 12, 1967, Keith Richards’ Sussex country home in England, Redlands, was raided by 18 police officers while Richards and several guests were tripping on LSD. 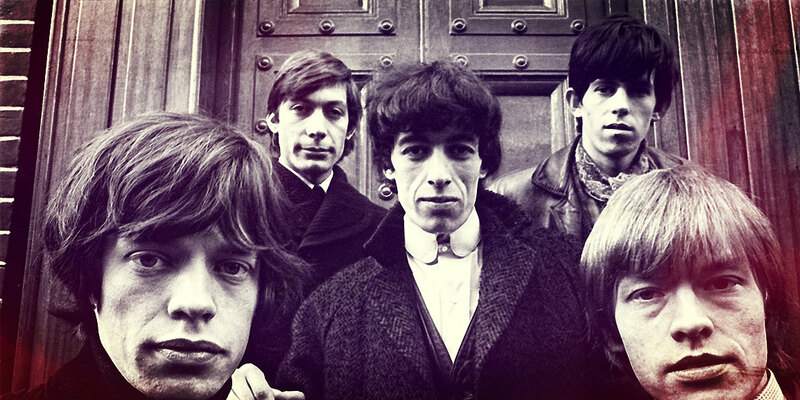 Richards, Mick Jagger, and one of their friends were tried and sentenced to prison. Although a shaken Jagger and Richards were soon released, the friend wasn’t so fortunate and served six months for heroin possession. Wrote Wells, “…(I)t seemed that the entire establishment of Great Britain had taken up arms against the young.” Clearly fearful of the power of rock music and the anarchistic Stones, in particular, who owned the streets of the UK and suburbs of the US, the bust was meant to send a chilling message to the pop-rock music community. The Stones were “an obvious figurehead for… dissent and as a result riots accompanied their performances up and down the country.” If the bullies couldn’t get their heads on pikes, then Stones crushed to pebbles would do. Wells turns his acute Holmesian reasoning and highly polished magnifying glass on the forces behind the bust and the collaborators operating inside the circle that sold out The Stones for a few pounds and a free pass out of the country. This is where Wells takes firm hold of his story, playing equal parts master synthesizer of rock history and rock detective to resolve a nearly half-century-old British whodunit that spills over to the U.S. and reaches all the way to Hollywood to fill in the last key pieces of the unfinished puzzle. As it turns out, it’s Wells himself that is the last missing piece to the old puzzle as Butterfly finally offers a clear, complete picture of Redlands for the first time. Alas, it was Richards’ chauffeur who tipped off the notorious News of the World newspaper, which tipped off the police. But what happened to “Mr. X,” the “charming, smiling young man” with the attaché case filled with drugs who supplied the LSD and DMT for the weekend, never showed up for court to answer his summons, vanishing within days from England, never to be seen or heard from again? Wells made a serious effort to track down the Riddler of Redlands, the “now legendary” David “Acid King” Schneiderman, as the Brits call him for spreading the seeds of psychedelia. True enough, Wells has collected more material on the “elusive” Canadian than previously published anywhere to date, putting his murky Redlands role in fresh perspective. He traces Schneiderman, at 24 a man of many aliases, as he makes first contact with Keith Richards in New York’s Greenwich Village in summer 1966. 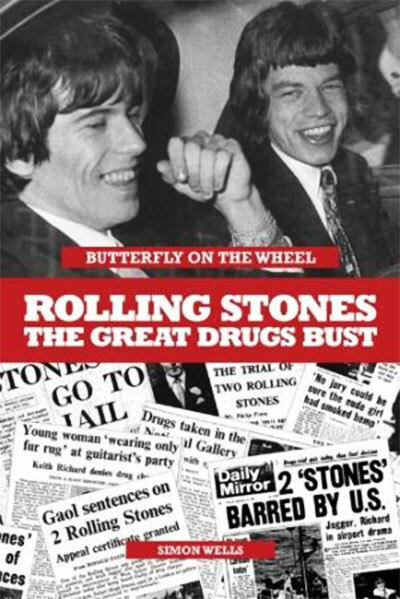 Wells picks up Schneiderman’s trail again in the London club scene in early 1967 as he morphs into David Britton, runs into Richards again, and is invited to a weekend of drugs and partying with Richards, Jagger, and close friends at Redlands; the drugs to be provided by Schneiderman. 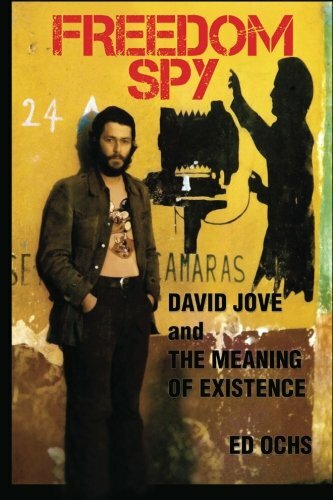 With the help of his sources, Wells tracks Schneiderman to Hollywood where in the ’70s he’s permanently morphed into David Jove, and where in 1980 he produced and directed the groundbreaking, pre-MTV punk-music cable-TV show New Wave Theatre. Wells is a documentarian and truth-teller at heart, and has conducted fresh interviews with lawyers, police, eye-witnesses and those present to bring the saga up-to-date and pop the myths that have bubbled over in the 45 years since Redlands erupted in a cloud of chaos. For example, other books probing Redlands claimed Schneiderman wasn’t searched and was never charged; Wells probed deeper and reversed the myth. Other sources claimed Schneiderman was a dealer, a CIA/MI5 plant, the spy who tipped off News of the World; Wells suggests he was none of above. When Schneiderman/Jove died in 2004 he took his exact part in the saga with him to the grave, but whatever it was he appears to have acted alone to avoid deportation back to Canada, rather than intentionally set out to bust the Stones as part of a government/establishment anti-youth plot. These were just some of the dynamics at play then that have continued to intrigue ’60s-wistful Brits for 45 years and that drive Wells’ landmark book. Peeling away the years with style and compassion while painstakingly separating fact from fiction elevate Butterfly. The author seamlessly weaves together a growing cast of colorful characters with the threads of events leading up to and through the ’67 Redlands bust. 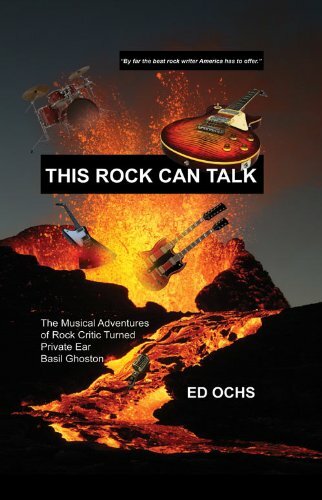 He captures the dawn and rise of The Stones, the British establishment’s campaign to “break” them on the broken “wheel” of justice and curse their careers with scandal, their near-fall at Redlands, and the bust’s impact on everyone who innocently attended Keith Richards’ private party that fateful weekend. Drawing from new sources and recreating events as close to fact as possible, Wells crisply, cleverly, wryly captures what was on the line for The Stones as well as for the freedoms of a nervous nation hanging in the balance. Because the gaudy subject matter – The Stones, pop stars and drugs — is potentially volatile and vulnerable to exploitation, Wells goes out of his way to demystify, de-sensationalize and rationalize Redlands. He’s on no crusade to eliminate emotion as a hindrance to accurately depicting historical events, however, rather simply aiming to allow real human drama to surface in shocking relief by presenting events as they actually occurred sans hype. Wells knew all he had to do was honestly tell the story of how the establishment tried to bring The Stones to their knees at a time in history when The Stones and Beatles had the power and potential to influence how millions of young people voted, and that drugs were the sparks of a spreading revolution. Wells sets his goal at presenting the truest picture possible, fully realizing that the truth is far more exciting than fiction, reality far more fascinating than fantasy. By the same token, Wells treats everyone as human regardless of their status or side of the debate they fall on, believing that only by seeing the participants as real people with the same feelings and failings as the rest of us can the heartbeat in the real human drama connect with the reader. Wells tried “to present as correct a picture as possible of this remarkable time.” In achieving his goal he has proven that some mysteries may take a lifetime to fully release their secrets, if ever, and that it takes a good writer with a clear vision to shed new light on a 45-year-old turning point. In Butterfly, Wells has come as close as anyone is going to come to unraveling the mystery of Redlands, one of the ’60s greatest rock ’n’ roll conspiracies perpetrated to bring down the world’s greatest rock ‘n’ roll band. It’s amazing for us Yanks to see that more than 40 years after the event the British are still trying to figure out not so much why The Stones were busted in 1967, but how, by whom and to what extent, and it’s equally amazing that Wells has been able to give this near-cold case a fresh look with greater historical context, economy and flair absent from other books on the subject. P.S. Whatever happened to News of the World? Adds Wells in his epilogue: “Until July 2011, the proven interloper of the Redlands episode – the News of the World – appeared to have changed very little in the 44 years since the scandal erupted. … Predictably, drugs remained a popular target for its reporters, with many celebrities falling foul of the paper’s covert style of journalism. In 2011, following years of accusations, private investigators employed by the paper were proven to have been hacking into the voicemails of celebrities, political figures, war widows, and even the families of murder victims. … The paper, under enormous pressure, was abruptly closed down by its proprietor Rupert Murdoch, the head of News International. ‘The News of the World was in the business of holding others to account,’ said Murdoch’s son James. ‘But it failed when it came to itself.’” It took 45 years but justice was finally delivered to the doorstep of the tattler of Redlands. For freedom-loving Stones fans across the generations, Butterfly is the perfect companion to Keith Richards’ recent autobiography Life. Butterfly distills the facts with a cool, discerning eye, documents events with quotes and interviews, and clearly identifies the deep cast of characters. At the same time it vividly explains what it meant to be a Rolling Stone, have your freedom falsely taken away and jailed, as well as how it all played in the streets, around the nation and around the world. At its core, Butterfly is a whale of a tale from the peak of the ’60s about rock ‘n’ roll on trial complete with a slam-bang Hollywood ending – and it’s all true.